According to a couple of sources with inside knowledge of what is going on at Apple, the company is using its knowledge of how glass can curve around the human body to produce a wristwatch that will run on iOS. While Apple didn't comment on the plans, the report opened up a number of interesting questions. Will Siri be included? It would seem to make sense to have the voice-activated personal assistant aboard. Other features that the watch could include would be the ability to send and receive texts, and a version of mobile payment system Passbook. 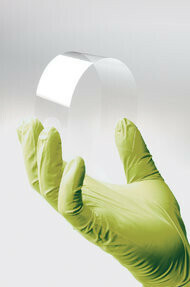 Corning already has a bendable glass that it has developed which it calls Willow Glass. This glass can bend like paper in the wind without breaking. And considering the relationship (albeit secret by mutual agreement) that Corning has with Apple, we could see Willow Glass commercialized the same way that Gorilla Glass has become a household name. Sarah Rotman Epps, an analyst with Forrester whose specialty is wearable computers, says that Apple has done some hiring in this area, and through its partners who make accessories for the Apple iPhone, Epps says that "This makes Apple potentially the biggest player of the wearables market in a sort of invisible way." No stranger to these pages, Piper Jaffray analyst Gene Munster says that he can envision a day when people carry a tablet and wear a smartwatch that takes care of the light housekeeping like making calls, text messaging, quick searches and navigation. Munster sees such a product as a cheaper solution to the iPhone, especially in emerging markets. And Apple might have some competition in the wearable computer space. Google says that it hopes to make Google Glass 3% of its annual revenues by 2015. If Apple does make a decision to go full steam into smartwatches, it seems to have the right guy at the top; current CEO Tim Cook wears a Nike FuelBand which tracks his activities. I will be waiting for this, it would be great if apple does this watch thing. I think this was the only thing I didn't like about the iPod Nano update. You couldn't wear them as watches anymore. This would be rather cool. wouldnt the cord obstruct u ? Nah, i'll stick to normal watches... I don't know why but a wristwatch with a dial looks pretty good to me. For all the talking, tapping, typing, listening, watching...there's the mobile phone. That's what people used to say about smartphones: why bother with one when you can just get the internet on a regular computer? A regular cell-phone looks pretty good to me, leave all the typing, watching, and browsing to laptops and desktops. You misunderstood... Read the 1st part...that's my answer. The 2nd part was just an added joke. I love watches that have sporty looks...you know, multiple dials, chronograph and all those stuff. 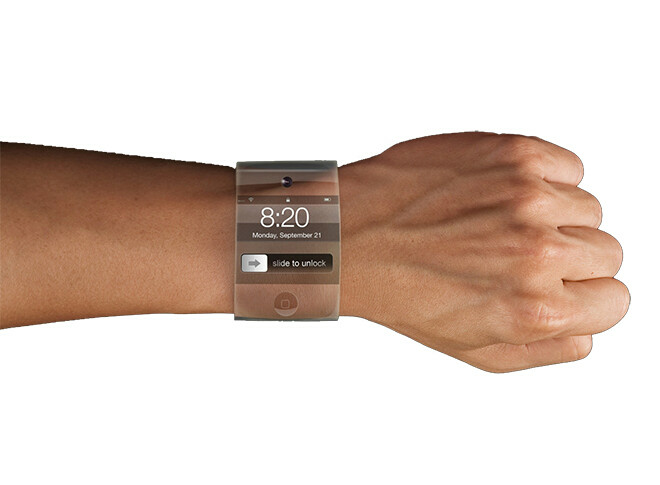 I don't think an iWatch is going to look that way, going by the conventional way the work...no sir. Would rather stick to more of a conventional watch and not look stupid tapping and touching all over the body and phone ... just for heck of it. A wrist watch with roman numerals hour/min/sec hand looks so cool and aristocratic. This is what Apple needs to do to stay relevant. Their strength has always been exploiting untapped markets, their weakness has always been remaining relevant afterwards. 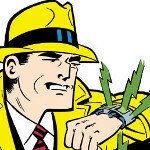 If they can popularize smartwatches they can avert attention from their lackluster smartphones. Apple will always be relevant. Innovation will never die. Even the cofounder of Apple sees that their innovation is severely lacking, and they've been passed by Samsung and Android general. You sound like some zealous, religious headcase when you say stuff like that. Apple will only be relevant as long as it remains innovative. To assume that it will always remain innovative forever is to be either naive or arrogant. they haven't innovate anything. stop dreaming. LG Was the first to made a watch phone. now their copying LG LG GD910 3G watch phone? anyone remember that watch phone from few years ago? Innovation means much more than mere invention. Just because the modern automobile was invented over a century ago doesn't mean great innovations in the automotive sector aren't taking place even now. Apple has been very innovative in marketing and design over the last few years, despite using existing technologies in their products. They release this I buy 3. Make that 5. Two for the red thumbs LMAOOOOO. Losers. d**k Tracy was onto something. So Apple is copying d**k TRACY? That was such a classic movie. and it will be as expensive as buying a JACOB WATCH or any expensive watch.